What if someone you love and trust has been keeping a dark secret from you your entire life? 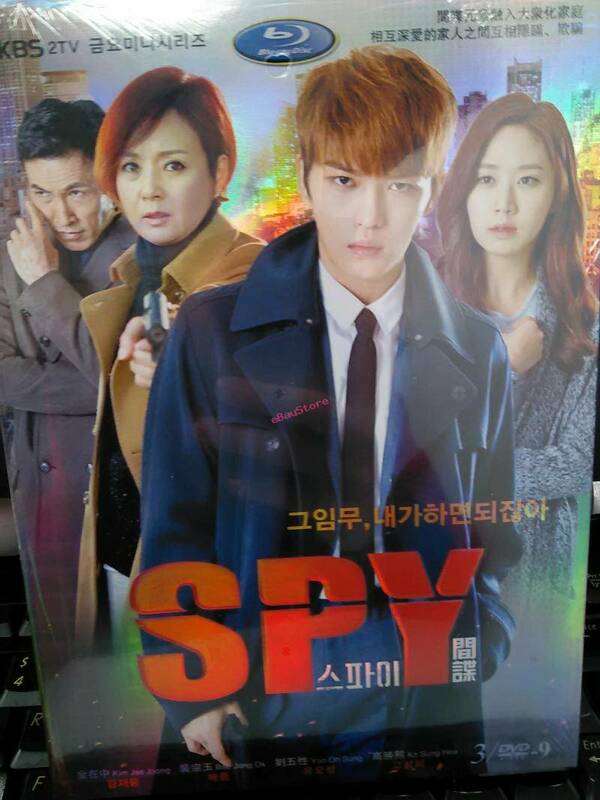 Such is the case in the Korean drama SPY, where a loving mother is revealed to be a former North Korean operative. When she’s given the final mission to convert her son – an agent of the South Korean National Intelligence Service – to their cause, she’s torn between choosing between her country and her own flesh and blood. Like any show loved by critics and fans alike, SPY has become a target for bootleggers, which explains the fake SPY DVD set we’re discussing today. This specific item may have a flashy exterior, but make no mistake – on the inside, it’s just as bad as any counterfeit product. Some Malaysian companies, despite being recognized by the government as legal entities, openly flout licensing laws. They then gather in online stores, where they sell pirated DVDs that, at a glance, look “legit” enough to trick the unwary into purchasing them. 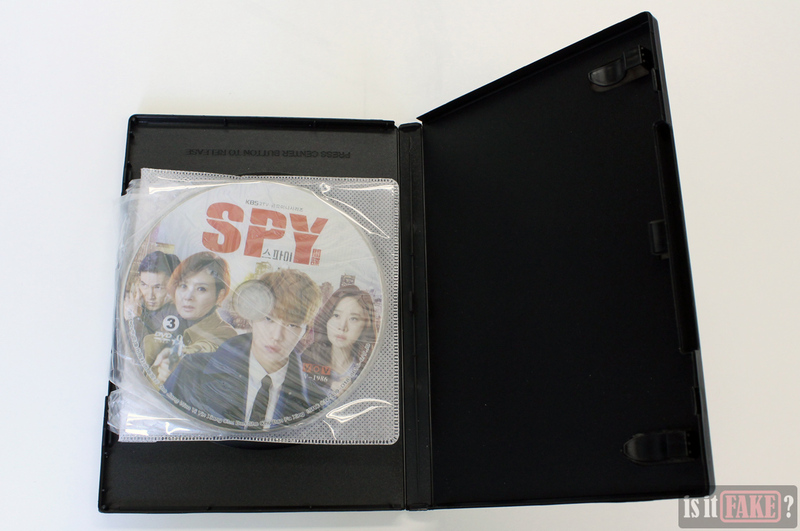 This SPY DVD set is an excellent example of such a fake. While dumber pirates would’ve slapped their name and logo on the cover, this DVD set comes in a fancy, iridescent box adorned with the logo of KBS 2 TV (the Korean drama channel which originally aired the series) – lending credence to the notion that it wasn’t illegally produced. 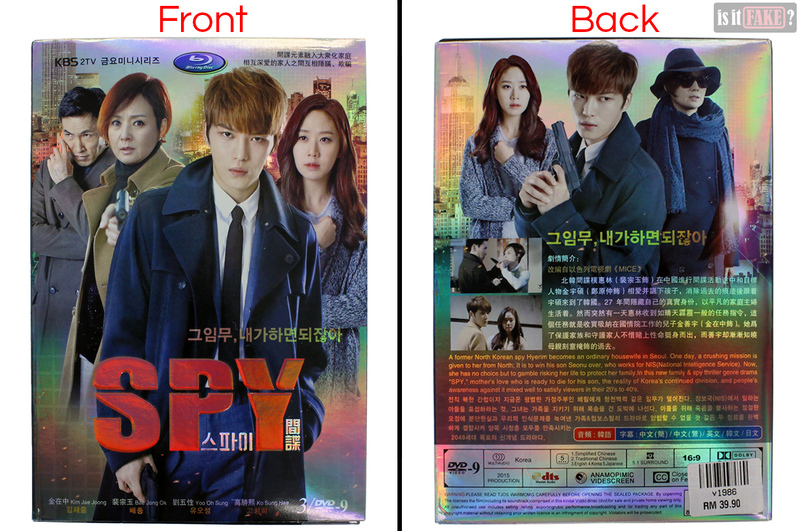 As previously mentioned, this fake SPY DVD set is packaged in a box whose rainbow-like colors shift with the lighting. It’s definitely eye-catching – enough to distract you from the clues revealing this product as a fake. So let’s analyze those clues. Let’s start with the preponderance of Chinese text on the box’s front cover. No evidence exists that the rights to SPY were ever acquired by any Chinese or Malaysian companies for manufacture and/or distribution in their specific regions, so seeing this much Chinese is bizarre, to say the least. But here’s where the pirates got careless: they stamped the Blu-ray logo on the top of the front cover, while also placing the DVD logo on said cover’s lower right corner. 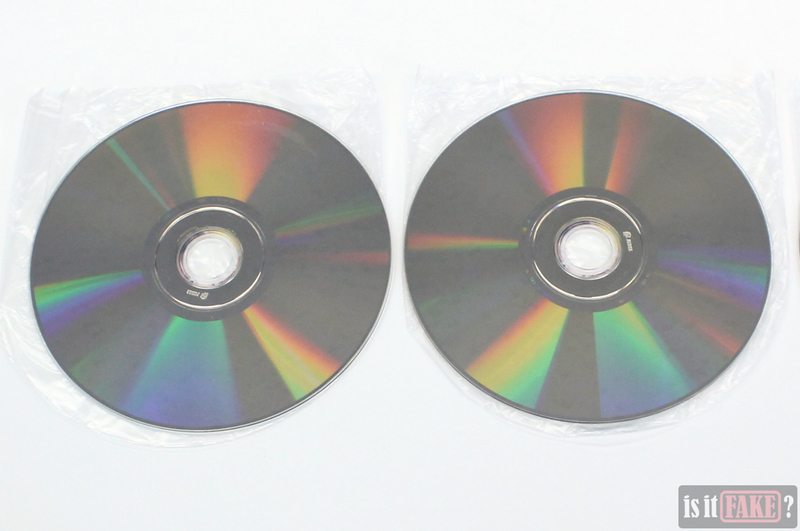 While Blu-ray + DVD combos do exist, such products often have both logos positioned side-by-side at the top of their boxes, to make it clear they contain both disc formats. 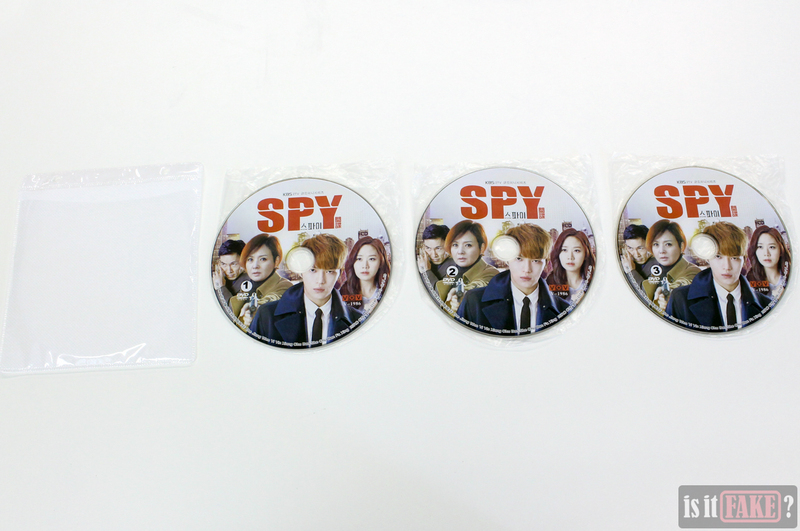 In contrast, what this fake SPY DVD set does only confuses the buyer – the mark of amateur package design. The tech specs on the back of the box further state the product only consists of DVD discs. 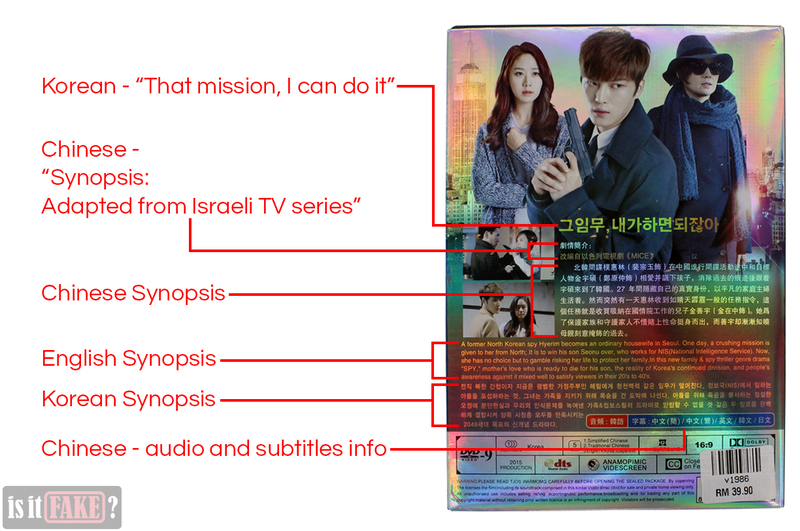 Additionally,the back of the box features the story synopsis in English (from KBS World), and its direct Korean translation. The Chinese text also summarizes the story, but isn’t a translation of the English and Korean. 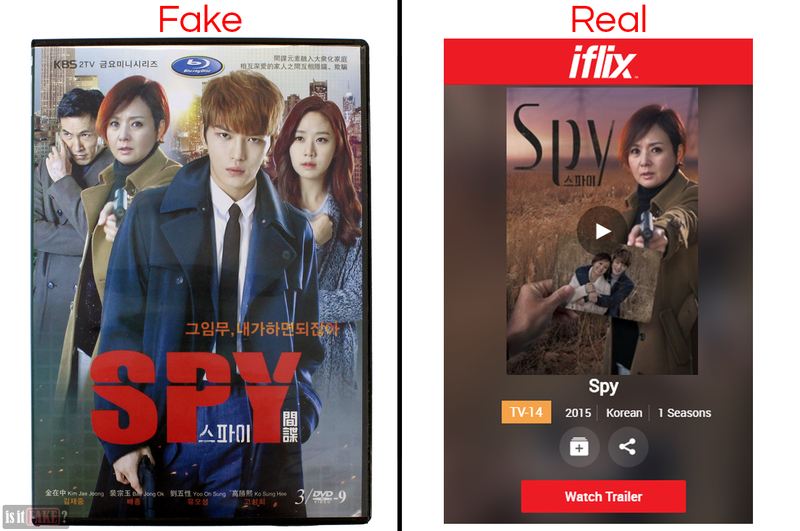 In fact, it begins by stating SPY is based on an Israeli TV series, and even mentions actor names – details the English and Korean synopses leave out. 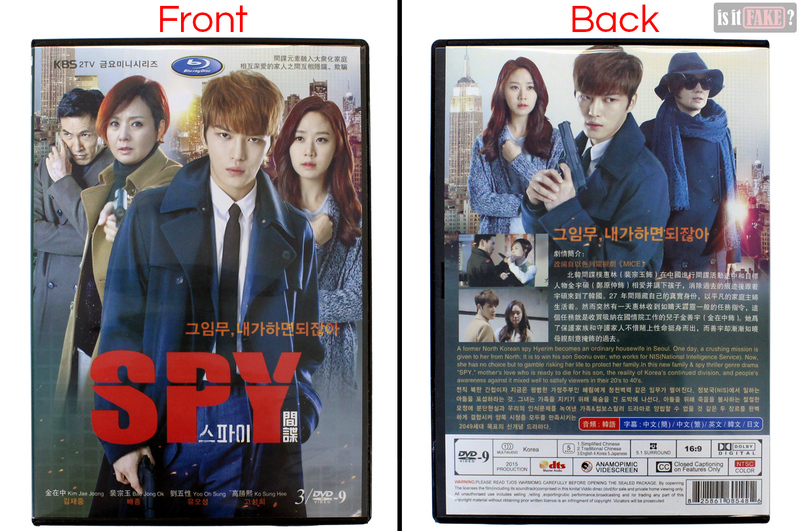 Also on the back, it’s stated in Chinese that the SPY audio is Korean, and the available subtitles are Chinese (simplified and traditional), English, Korean, and Japanese. We shall learn the truth about these claims later on. The front of the box is a flap that can be swung open. This reveals the flap’s interior side on the left, which has nothing but Chinese on it, and the DVD case on the right. The DVD case is of the cheap and generic plastic variety. Its front and back covers feature the same designs as the box’s. We’ll take this opportunity to state that the main image on the front is a composite of 4 character photos found on KBS’ official SPY site. Likewise, the image on back is a composite of 3 character photos, also found on the same site. Open the DVD case, and you’ll find 3 DVDs wrapped in flimsy cloth and plastic sleeves. It seems there is a pattern here: the closer we get to the actual discs, the worse the packaging gets. We have 3 DVD discs but 4 sleeves. Each DVD opens with a main menu. The picture used here is a modified version of an official image. 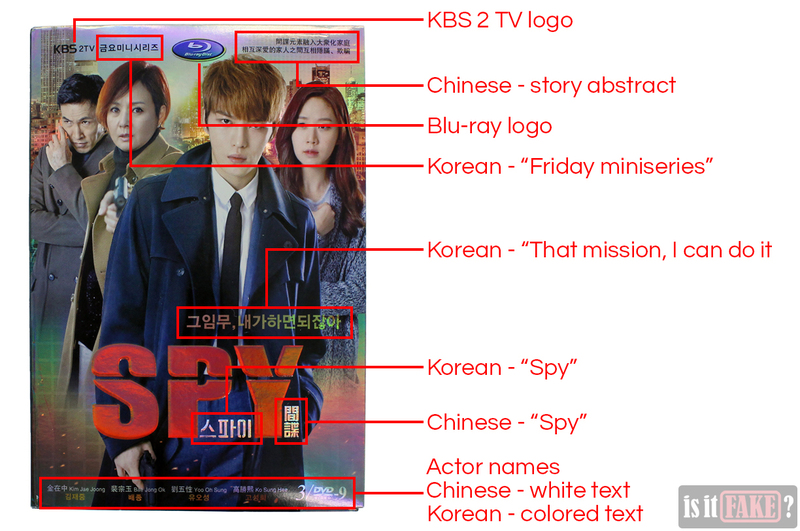 As you can see above, the fake version removes the Korean characters below the SPY title to make room for the VOV logo. Similarly, the Korean characters on the lower right were also removed. To cover up the alteration, a semi-transparent image was superimposed over the first. The girl’s face and hair now conceal the editing done on the area below the SPY title, while a street filled with people obscure the lower right area. Like the main menu, the chapter selection and language setup screens also take official images from the SPY site, and are riddled with Chinese. 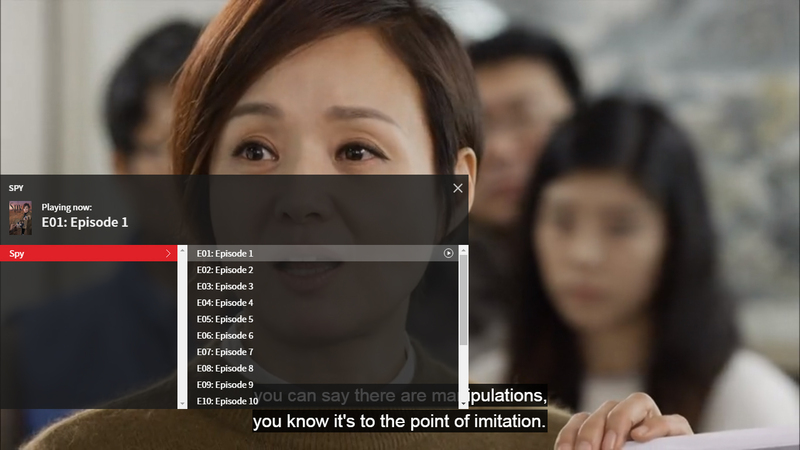 According to the language setup screen, English, Korean, and Japanese subtitles are available in addition to traditional and simplified Chinese. Imagine our surprise, then, when he discovered all 5 selections are Chinese subtitles. 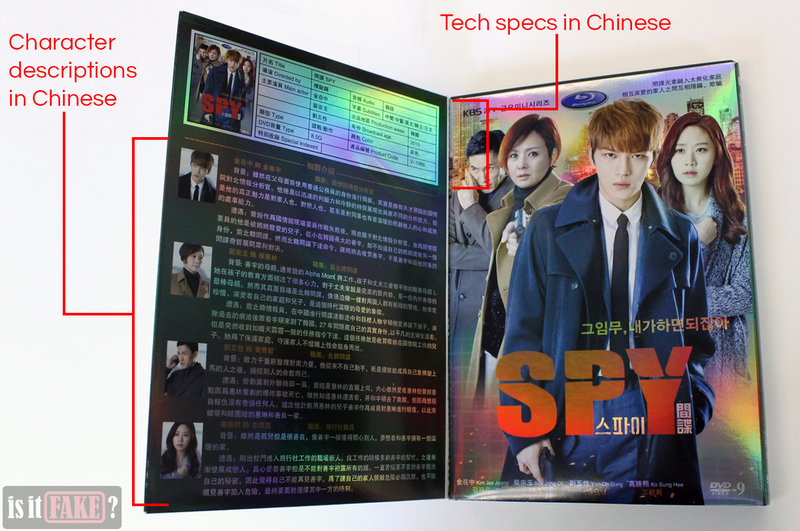 The information on the box, DVD case, and language setup screen is therefore an outright lie: this fake SPY DVD set was created solely for the Chinese (we doubt Koreans would want anything to do with this fake). 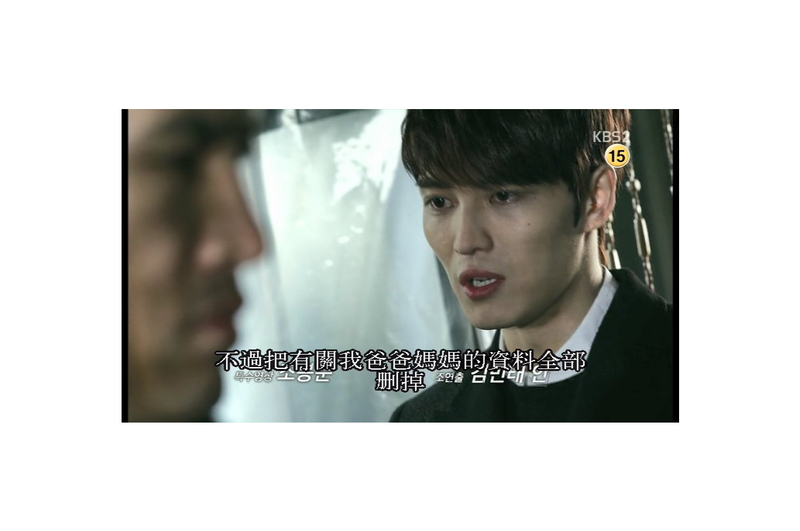 Unless you can understand Chinese or Korean, this series will be as incomprehensible as a book written in Latin. Judging from the KBS logo we see on the upper right corner of the video, it’s safe to assume this bootleg is a TV rip. The video quality isn’t great, however. Perhaps that’s because the pirates squeezed 16 whole episodes into 3 discs. 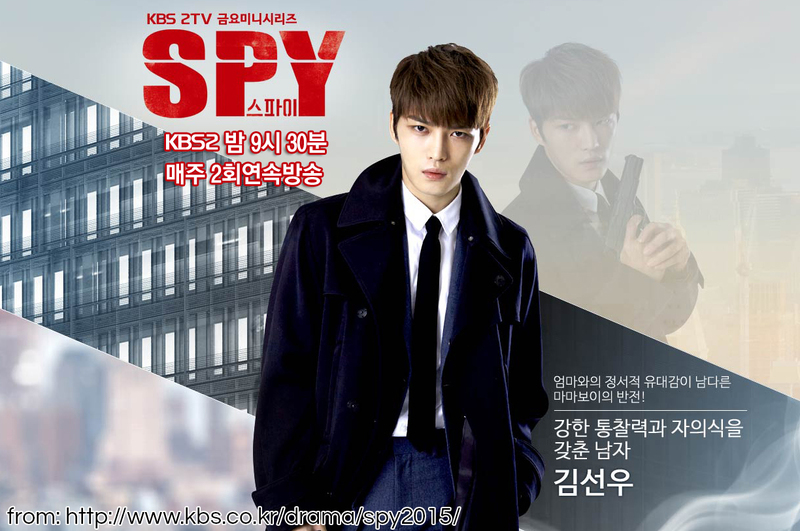 Eager to watch SPY? We have some good news for you. The legal alternative is much cheaper than the fake. If you live in Malaysia or elsewhere in Southeast Asia, you’re in luck. SPY is available on iflix. To avail of the site’s services, you’ll need to pay a small monthly fee of $2.5. This will give you access to SPY and over a hundred other shows, including Disney, Marvel, Cartoon Network, and other Western films and series; other TV series and movies from Asian countries such as Korea, Philippines, Malaysia, and more; and anime. Furthermore, titles on iflix boast a number of subtitles, making them accessible to a wide audience. The video quality is also great, as you can see from the stills above. Iflix is available in many regions in South/Southeast Asia, Africa, and the Middle East, though show availability may vary depending on the country. 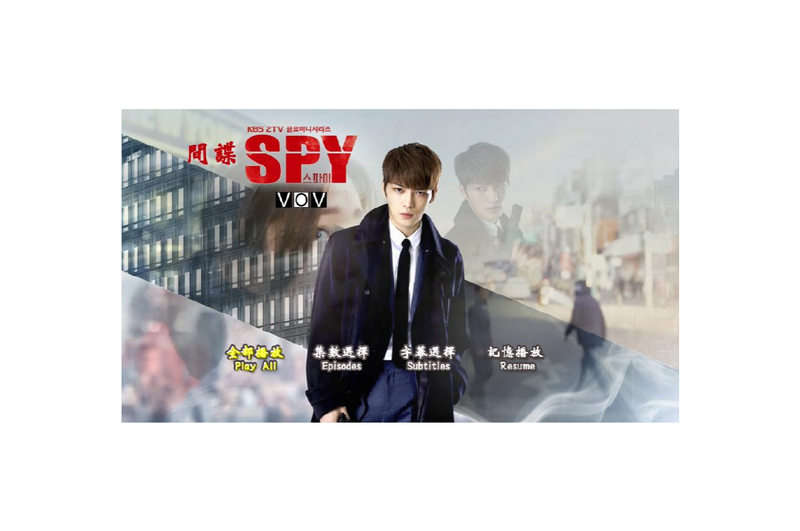 SPY is also on Viki for free. 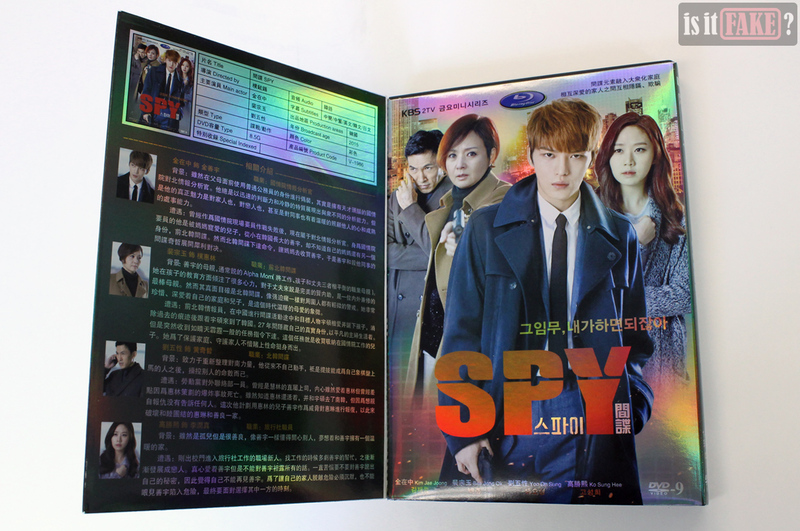 If you live in South Korea, you can watch SPY on Pooq and Conpia for free. For those in Thailand, you can also watch it in Monomaxxx for free. There is no shortage of legal VoD services on the internet. Visit our Get-Dramas page for more of them! Like a secret agent working for an evil organization, this fake SPY DVD set betrays the buyer in one of the worst ways possible. Its exterior presentation is a clever stratagem intended to disguise the ugliness beneath, meaning you won’t know what you’ve purchased until it’s too late. For playing a trick on consumers, its inferior video quality, and its terrible subtitles, it deserves an 85% terrible rating.